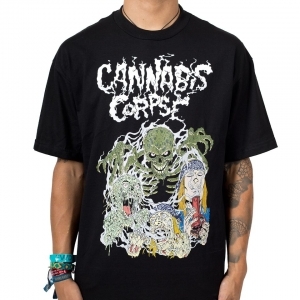 Cannabis Corpse "Baptized In Bud" one-sided t-shirt. Features a creepy figure surrounded by creepy trees and the band logo...its an all around creepy shirt! 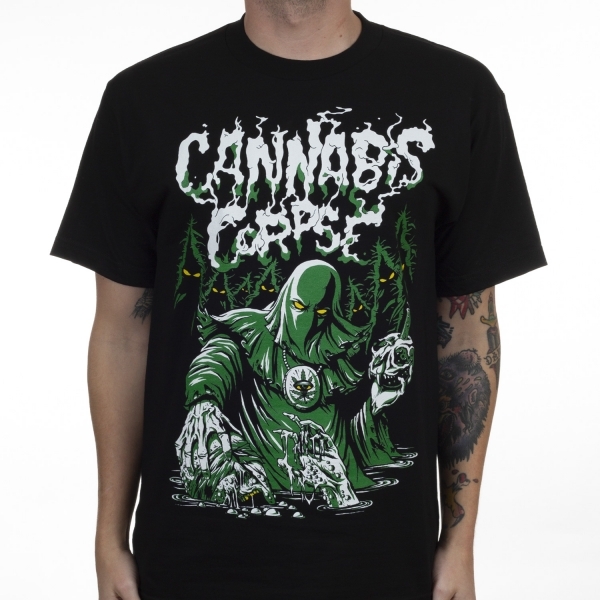 A must-have piece of merchandise for fans of Cannabis Corpse! -Features a creepy figure surrounded by trees with bands logo.